Craving outdoor outdoor adventure?  Indiana’s Historic Pathways is home to unique landscapes in southern Indiana and features tons of fun outdoor activities such as caving, hiking, canoeing & more. 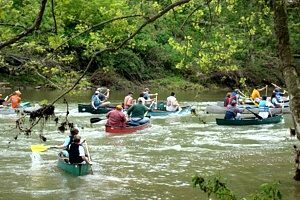 Considered one of Indiana’s purest streams, this spring-fed river provides approximately 30 miles of waterway for fishing, swimming, and canoeing. Creating wonderful family memories since 1883, the cave offers two walking tours, gemstone mining, the Maze Crawl, a gift shop, walking trails, picnic grounds, and more. Explore caverns discovered in 1790 by Squire and Daniel Boone, plus a pioneer village featuring arestored 1804 girst mill, soap making, candle dipping, gemstone mining and a candy factory. 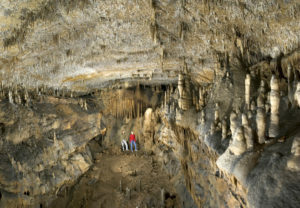 Indiana’s newest show cave, part of the Binkley Cave System, boast amazing waterfalls, an underground river, diverse cave life, and rich history. Buffalo Trace Park is a 147 acre park that features a 30 acre manmade lake for swimming and fishing, camping, canoe rental, paddle boat rental, lighted walking trail, petting zoo, and much more. The 7,800-acre national wildlife refuge land and waters are protected and managed for wildlife and its habitat with a special emphasis on waterfowl, migratory birds, and endangered species. Open seven days a week, sunrise to sunset. Situated two miles from U. S. Hwy. 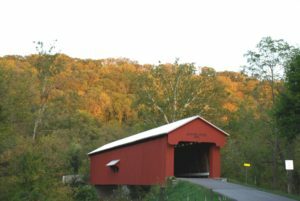 50, the forestry, which encompasses more than 7,000 acres in Jackson County, is part of the knobs topographical region of Southern Indiana and offers scenic views from Skyline Drive and other vistas, hiking, biking, camping, fishing, and horseback riding. Starve Hollow is located 4.5 miles from U.S. Hwy. 50 near the location of Jackson County’s oldest community, Fort Vallonia. It was constructed in 1938 and offers a 145 acre lake, fishing, camping, hiking, swimming, and fun. 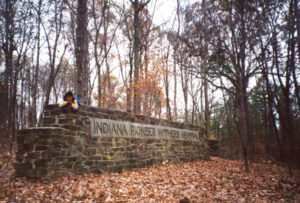 Located in a former U.S. Army proving ground, Big Oaks is the largest National Wildlife Refuge in Indiana. Visitors must go through a safety briefing before entering the refuge. 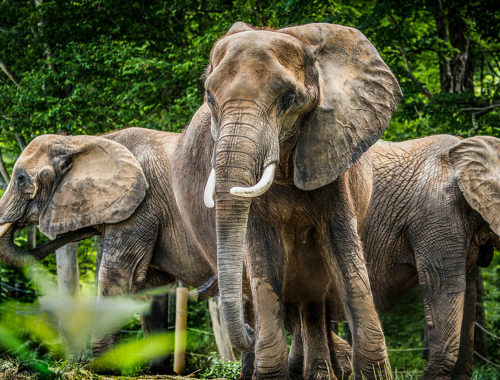 With its limited human access through the years, nature has been well preserved for the wildlife. 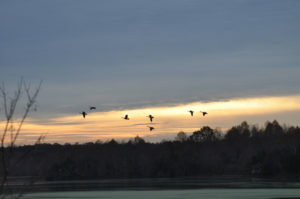 Hunting and fishing are permitted with valid licensing and an access permit into the refuge. Situated two miles off U.S. Hwy. 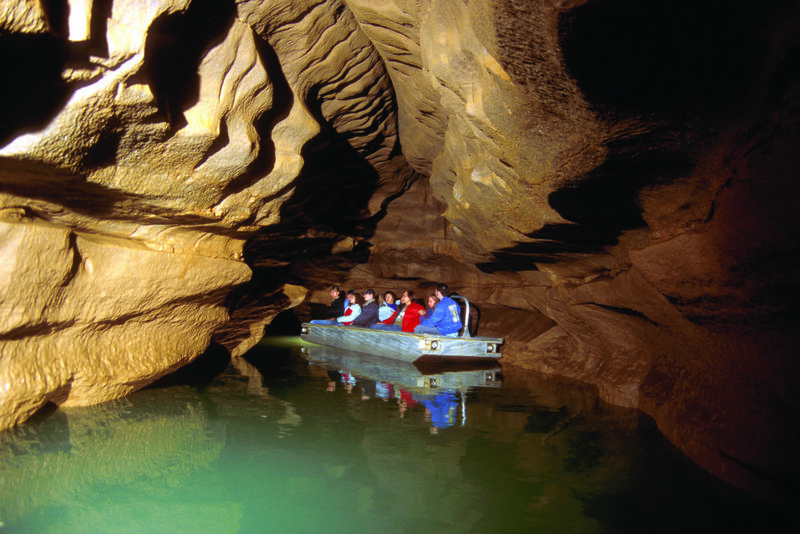 50, Bluespring Caverns is the Nation’s Longest Underground River and is open April through October. Just off U.S. Highway 50 at Shoals stands the incredible natural geological sandstone formation, Jug Rock. The 60-foot high formation stands alone with no adjacent ledge and is one of the largest free-standing table rock formations in the United States. Among several geological wonders which can be found on West River Road just off U.S. Hwy 50 at Shoals is the astonishingly beautiful Pinnacle Rock, a massive sandstone formation with a vertical descent of over 200 feet. Located on the White River, Hindostan Falls was once the site of an 1800s community and pioneer courthouse. A grist mill was once located on a large flat rock at the base of the 10-foot falls. 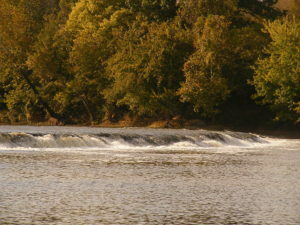 Today, Hindostan Falls is a public fishing and picnic area located on SR 550 just four miles east of Loogootee. Scenic rugged hills and vistas can be found at the Martin State Forest. Facilities include a primitive campground, picnic areas and shelter houses, hiking trails, mountain bike trail, fishing, fire tower, and arboretum for tree identification. Situated 1.2 miles west of Shoals at the intersection of U.S. Hwy 50 and SR 450, Overlook Park provides a scenic view of the winding White River and adjacent farms and valleys. Facilities include a shelter house, picnic tables, and restrooms. 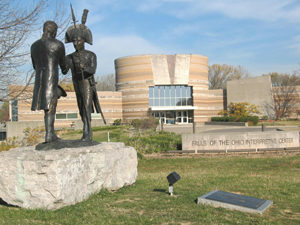 The Lost River flows underground 22.5 miles from Orleans to Orangeville. The rise is one of the largest karsts springs found in the Midwestern United States. This spring is where the Lost River surfaces above ground and continues to flow above ground to the White River. This 88-acre tract is the last old-growth forest in Indiana and has been left untouched since 1816. 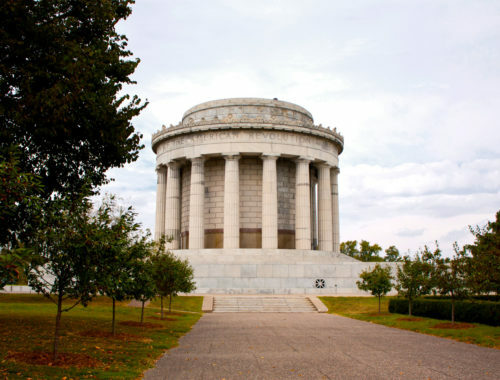 Enjoy the beauty of Versailles State Park located on U.S. Hwy. 50 – hike, horseback ride, swim, camp, bike, fish, or relax during the annual Bluegrass Festival.